The moment you open this Bible you'll discover amazing facts and inspiring people: powerful kings and beautiful queens, noble warriors and awesome prophets. You'll witness great battles and greater miracles. Best of all, you'll get to see how God loves and cares for ordinary people-and how much he cares for you. Features include: "Did You Know?" reveals fascinating facts in the Bible "Life in Bible Times" brings the Bible alive with descriptions and pictures "Let's Live It!" shows you how to apply the Bible to your life today "Words to Remember" helps you remember important Bible verses Dictionary/concordance explains key words and helps you find important Bible passages Book introductions explain each Bible book 8 color maps show you where it all happened Complete King James Version of the Bible, a timeless treasure and traditional favorite Ideal for home, school or church, The King James Version Kids Study Bible sweeps you off on a fun and captivating quest: knowing God. King James Version Kids Study Bible by Lawrence O. Richards was published by Zondervan in January 2015 and is our 7230th best seller. 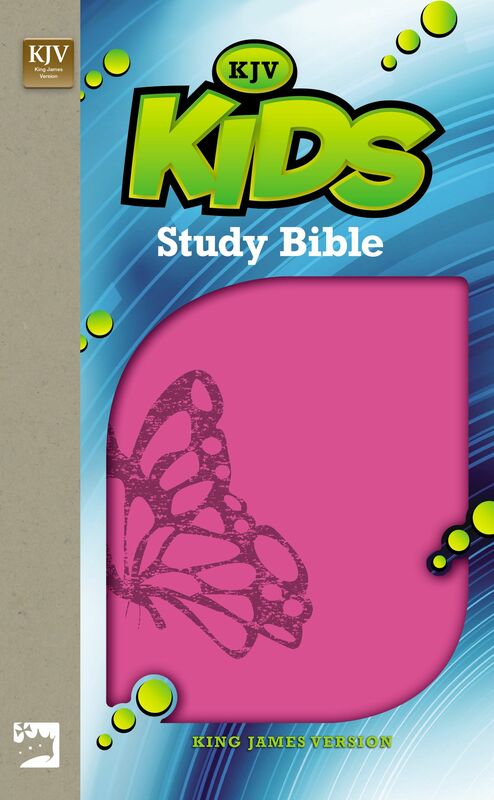 The ISBN for King James Version Kids Study Bible is 9780310747918. Be the first to review King James Version Kids Study Bible! Got a question? No problem! Just click here to ask us about King James Version Kids Study Bible.